I checked my mail this afternoon and got the sweetest surprise from Karen! 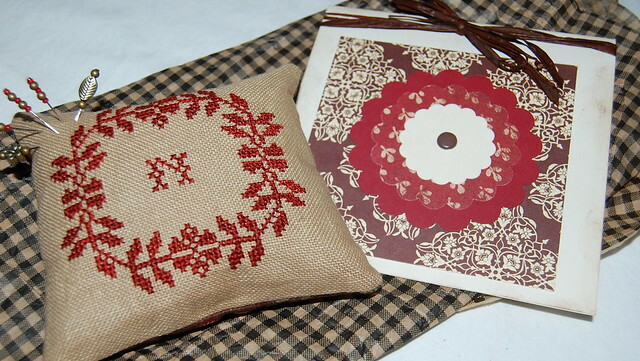 She sent me this beautiful pincushion for my birthday, which is tomorrow. I love that little pincushion. So very sweet! Happy Birthday a day early. I hope you have a great day tomorrow! 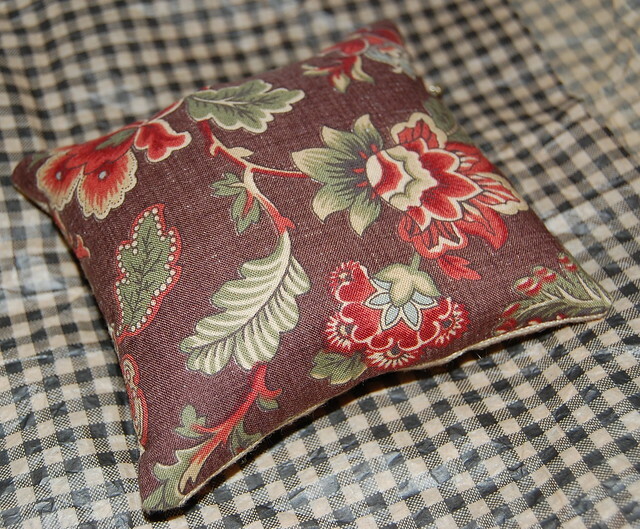 Lovely pincushion from Karen. Happy birthday! Early birthday greetings, Nicole!! hope you have a great day tomorrow (and every day)! Love it and happy, happy birthday! Happy Early Birthday greetings. 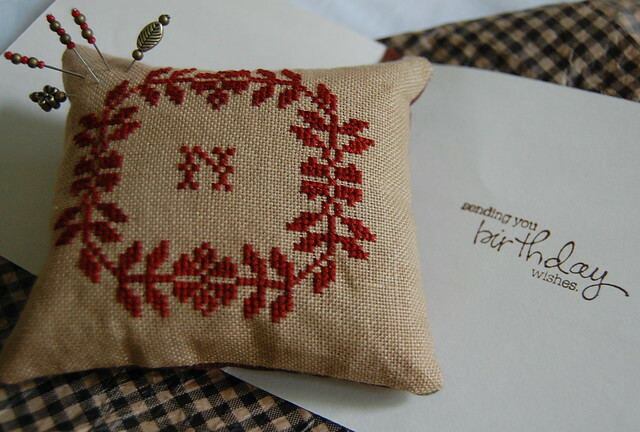 The pincushion is very sweet. Lucky you! Happy Birthday. What a lovey and special gift from Karen. Enjoy! What a beautiful Gift - Congratulations & Happy Birthday !! That is a lovely birthday gift Nicole. Happy Birthday..
What a gorgeous little pincushion!! I love the design and the pins! Happy Birthday!! What a lovely gift and the card is great too. Beautiful - love that backing fabric! And Happy Birthday tomorrow - hope you have a wonderful day! Happy birthday! What a lovely gift from Karen. A belated happy birthday! What a sweet pincushion!